THE Regional Spatial and Economic Strategy, which seems to exclude areas of crucial importance to Waterford’s development, needs “considerable tweaking”. The document, which sets out a 12-year strategy for the development of Southern Ireland, finished public consultation last week. 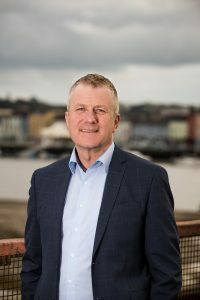 Fianna Fáil General Election candidate Eddie Mulligan says that having studied it and made a submission, “it needs considerable tweaking before it can be beneficial to the future of Waterford City and County”. Cllr Mulligan has also found areas which have been missed by the document but he says are “crucial to Waterford’s development”. “They seem to have forgotten Tramore and Ferrybank!” he said. “Tramore, with a population of just under 11k, has been omitted as a key town and that has to be rectified. Ferrybank too seems to have been missed. The immediate establishment of an appropriate administrational and governance entity, in the absence of a boundary extension, must be a priority. Planning of infrastructural, housing, community, public transport and business supports for the hinterland of the Ferrybank Strategic Development Zone is needed now,” he said. Cllr Mulligan says that there are a number of additions, which he hopes will find their way into the final strategy document, that he believes can be a strong economic driver for Waterford. Transport is also a big issue says Cllr Mulligan, with very little regard given to rail and in particular, potential cruise liner tourism.